You may be able to do this yourself or you may require the services of a sectional title attorney to draft it for you. All rules must be reasonable and apply equally to units put to substantially the same purpose (eg. A rule can’t advantage one residential owner above another). A Conduct Rule cannot conflict with a prescribed Management Rule or provision of the Act and a Management Rule cannot conflict with a provision of the Act. If the proposed amendment/additional rule will result in an owner’s vote counting for less, having to pay more levies or if an owner’s proprietary rights are affected then that owner will have to give his/her written consent. The notice of the meeting must specify the proposed resolution and must be sent to owners and bondholders at least thirty days prior to the meeting date. A quorum of 80% of owners in number (i.e. 80% of the actual number of owners in the scheme) and value (i.e. owners representing 80% of the participation quotas) must be present or represented at a meeting at which a unanimous resolution is to be taken. Management Rule – Unanimous resolution: every person present or represented at the meeting must vote in favour of the resolution, with abstentions being counted as votes in favour. Even one vote against the resolution effectively defeats it. Conduct Rule – Special resolution: 75% in number and value of those present or represented at the meeting must vote in favour of it. Abstentions are not counted as votes in favour, and votes against do not defeat the resolution. The minutes of the meeting will serve as a permanent record in the body corporate’s minute book of the decision made. Two trustees must then fill out a Form V to file the changes in the scheme’s file at the Deeds Registry. The amendment/addition only becomes effective on the date of filing in the scheme’s file held at the Deeds Office. Therefore, the completed Form V and the initialed rule(s) must be handed in to the Deeds Office for filing. It is a good idea to take a copy of the Form V and initialed rules when you hand the originals in for filing so that you can get your copy date-stamped as proof of the date on which the amendment was received by the Deeds Office, and as proof of what should now be in the scheme’s file. 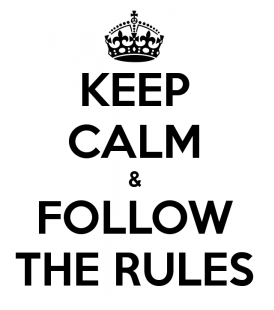 Have you amended or added to your scheme’s rules? How did it go for you? Hi we have bought into sectional title and 95% of flats are sold and bodycorparate has been formed without any of the owners present. The owners feel the at lease two of the owners must be trustees and a chair person as owner. But the person we bought from does not want new owners to be involved in the proses and building is badly managed. What is our legal stand. If amended Conduct Rules have to be handed in to the Deeds Office for filing and a copy thereof date-stamped by the Deeds Office for the formal record, does the same apply to original Conduct Rules? Can you please point me to the place in the Sectional Titles Act where this is stated? The reference in the Act is section 32(4). We are able to assist in drafting the rule as the procedure is complicated, feel free to contact us on consulting@paddocks.co.za for assistance. That this can be used to make Conduct Rules regarding owners having to maintain common property within their area eg. their garden gate, their roof’s underlay, etc. When i asked who had informed them of this i was told Paddocks, Marais and van der Merwe. i have a complex that long ago the trustees of the day decided that all owners would maintain their own roof underlay, this yellow plastic had perish as it was the wrong one to use ie. not SABS approved. Some fixed their own roofs and other did not now there are many new owners (after 20 years) we need to know if we can make this into a Conduct Rule. Our scheme broke at least 5 of your 8 simple steps when they recently tried to update an exclusive use area plan and accompanying rule. In the process the trustees and managing agent changed the participation quotas and as such we now have two sets of those as well. All this was done on the advice of the managing agent who overruled our advice to be cautious. They then took this charade to a new level when they changed the new conduct rule that the owners had voted on before they filed it with the Deeds Office. Therefore the rule filed with the Deeds Office differs from the one that appears in the minutes. All of this they did after they had an attorney present at the meeting to apparently give their actions credibility. During the next AGM the managing agent exchanged a page in the post-dated audited statements apparently to show that the auditor gave his stamp of approval to the matter. It is unclear if he knew that a page in his financials was exchanged. It seemed highly unlikely that he saw the minute book or the rule that was filed. We were the only owners who voted “no” at the meeting and who objected to the apparent anomalies at the AGM. This entry was posted on July 8, 2013 by Paddocks in Legal and tagged amending sectional title rules, changing sectional title rules, How to amend body corporate rules, how to create new body corporate rules.